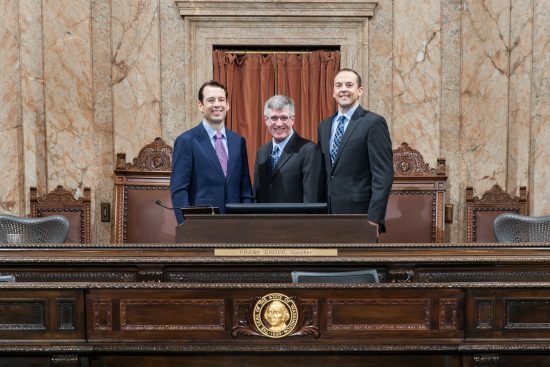 When: Tuesday, January 31, 6 – 7 p.m.
Why: Sen. Billig and Reps. Ormsby and Riccelli will give a brief update about the first few weeks of the 2017 legislative session. The majority of the live town hall discussion will be spent answering questions directly from constituents. Under the telephone town hall format, thousands of constituents will receive automatically generated telephone calls to their homes in the 3rd Legislative District just before 6 p.m. Tuesday, January 31. Constituents may ask a question by pressing *3 on their phones during the call. A volunteer screener will take their question, and the legislators will answer as many questions as they can get through during the one-hour call. For those whose questions are not addressed during the town hall, there will be the option to leave a message for the legislators to respond to. Those constituents who do not automatically receive a call may join the town hall by calling 877-229-8493 and entering the ID code 116276 after the prompt.